Just had the xNT injected today by my piercer. But I have tried two different androids and cannot get a read. any pointers? Give it 24 hours and removal of bandage before trying. Then you will also need to ensure your phone is positioned over the xNT in an “optimal way”. Location and orientation are important aspects of how an implant works with a smartphone. What phone model are you using? Samsung 8+, LG K30 and just tried also LG Rebel. For what it’s worth, I couldn’t read mine for 3 to 4 days after injection. It was about a week before I could consistently get a read. I’m told it depends on how much blood pooled around it. Some phones have poorly designed antennas. I bought PN532 units with external antennas and they work wonderful. I agree with the others, inflammation does prohibit utilizing the implant. If you plan on developing NFC technology then get a stack of NFC cards. The Dangerous Things android app can be used to pre-configure the card. You can then develop from there, this will prevent you from locking yourself out of your implant. 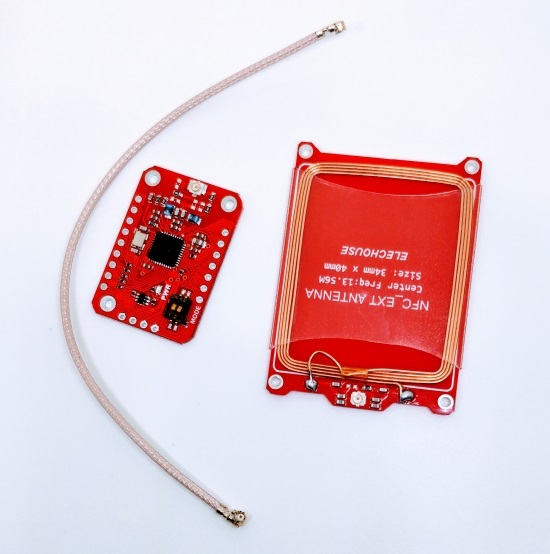 I’m working on an open source project which will allow people to take the external antennas, mount them on the door frame, store the rest inside the door or wall for use with NFC badges/keyfobs/implants. What apps are you using on the phone to read the tag? I’d suggest TagInfo by NXP, or NFC Tools Pro. And as others have said, you do have to find the ‘sweet spot’ on your phone. The xLED is a good investment, to figure out where the best position is on your phone. The iPhone has a decent NFC reader near the top, but it will not do anything with a new xNT because the NDEF record is empty. Definitely keep trying with your Android phone… change location and orientation.